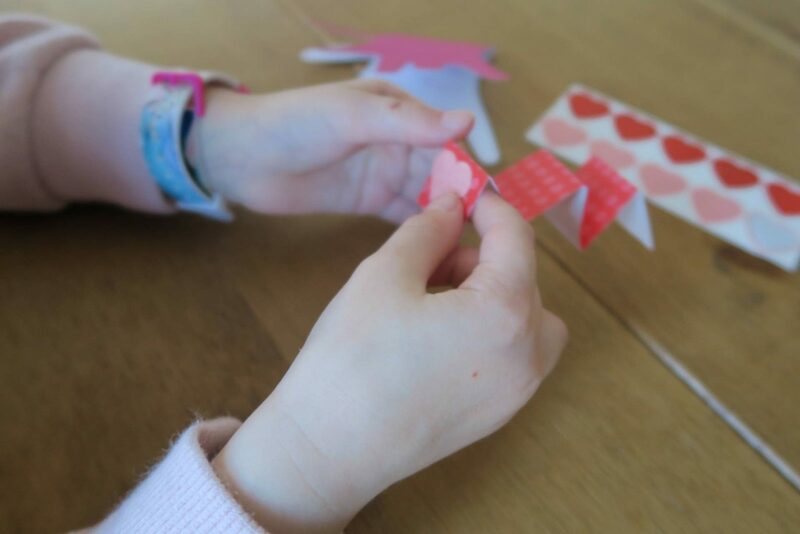 The Kissing Hand Pop-Up Card…Crafts for Valentine’s Day! Valentine’s Day is never quite the same when you became a parent, I wrote about it last year about how we do it differently now. But, of course it does give us a reason to make cards and Alice was very excited to make our Kissing Hand Pop-Up Card. As a Bostik blogger I will be challenged each month of the year to make a different craft. This month you won’t be surprised to see that the theme is Valentine’s Day. 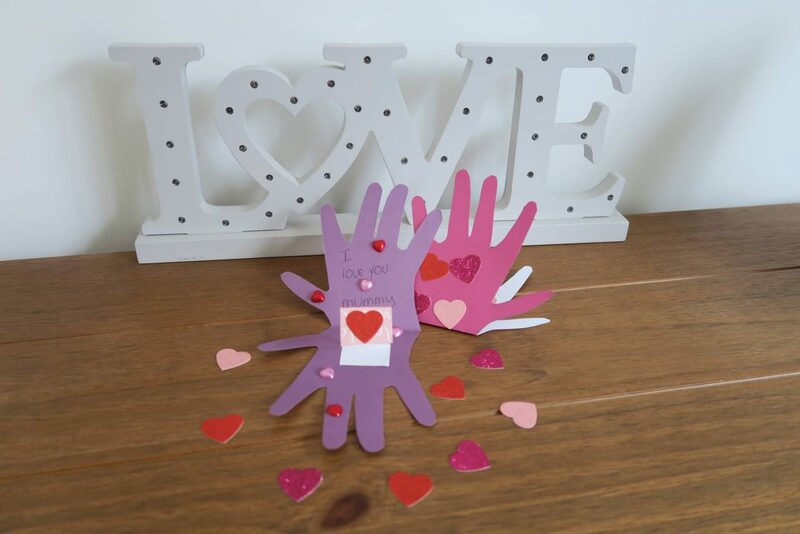 So, here is our Kissing Hand Pop-Up Card.. Fold the coloured card in half. 2. 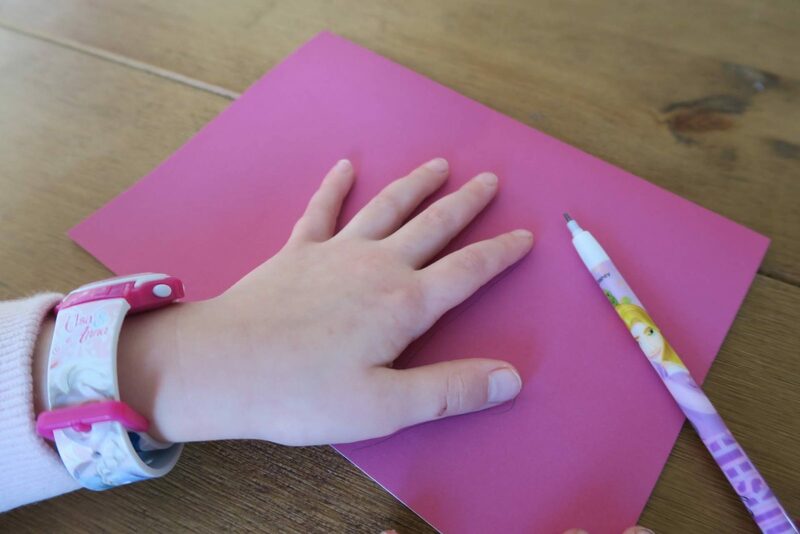 Place your hand on the card and draw around it, making sure the bottom of your hand is along the folded edge. 3. Cut out your hand shape, leaving the folded side uncut. 4. 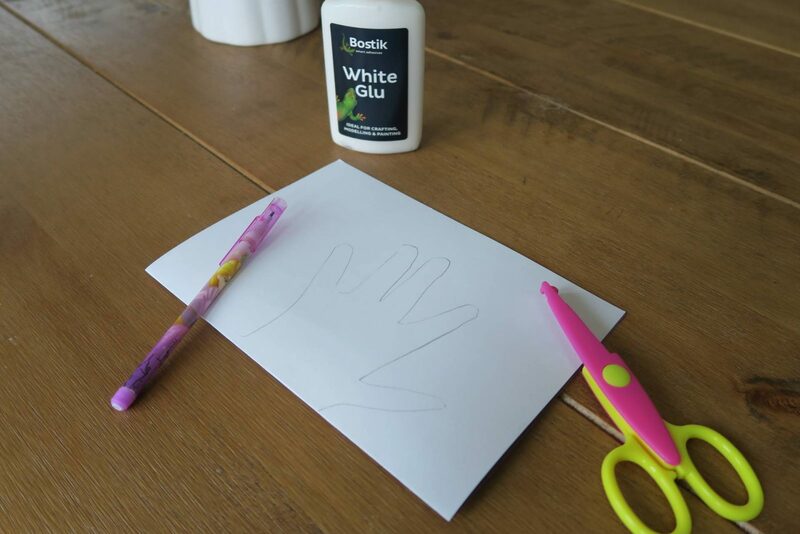 Open your hand and write your message on the top half of the card. 5. Next you need to make the pop-up heart. 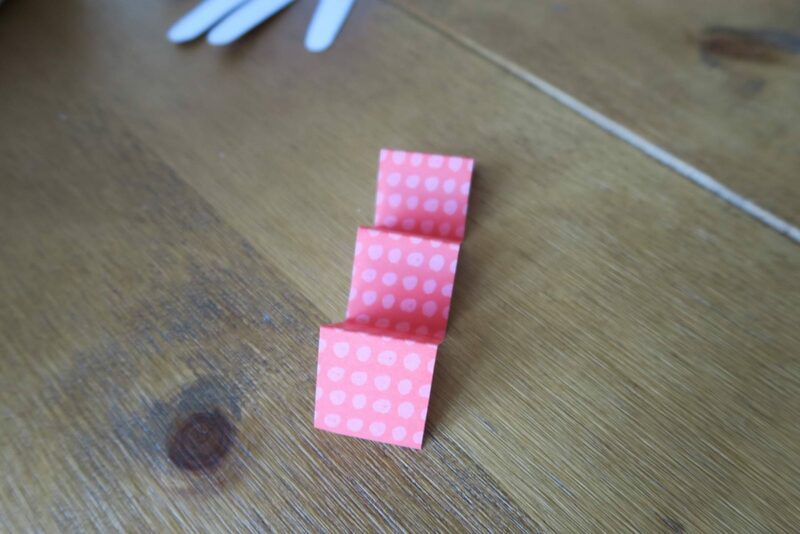 Take the other coloured card, cut a strip and accordion fold it. 6. Take one of your heart stickers and place on one folded side. 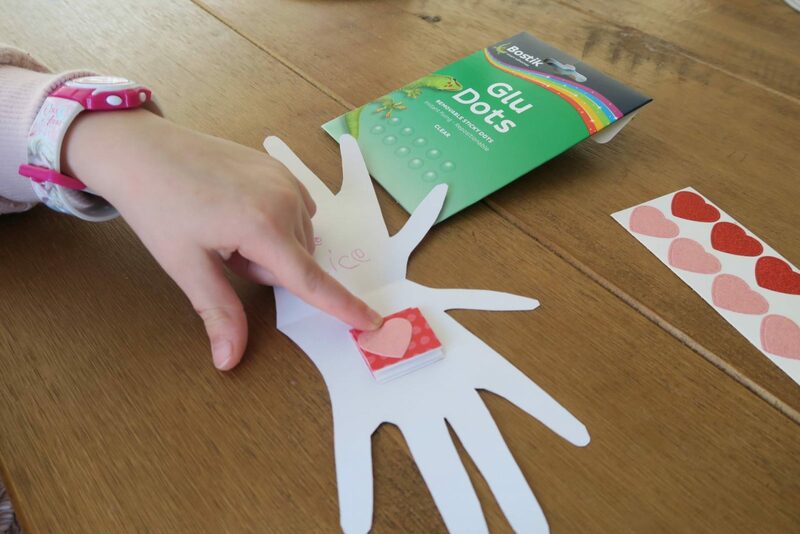 If you don’t have heart stickers, cut out a heart shape and stick on with glue. 7. 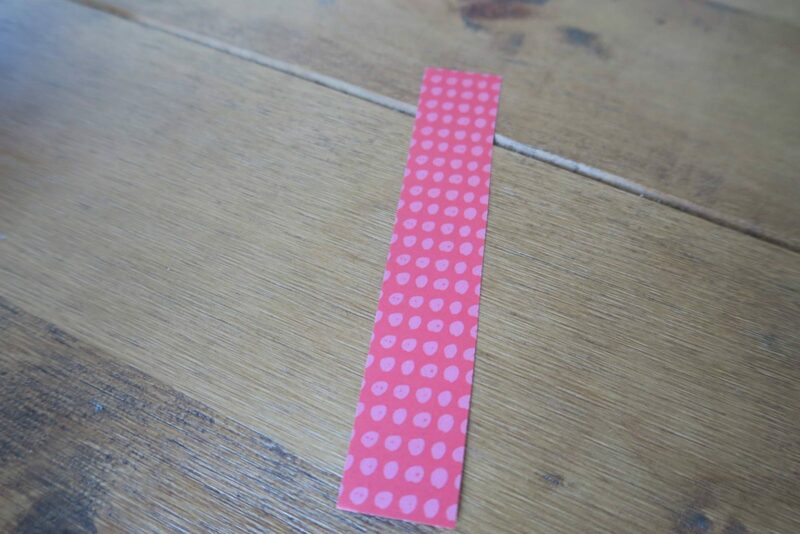 Glue the other folded side of your strip of card to the bottom half of your open hand. We used Bostik glue dots, so that we didn’t have to wait for the glue to dry and they are perfect for this. 8. If you would like to, add more hearts to decorate the card. 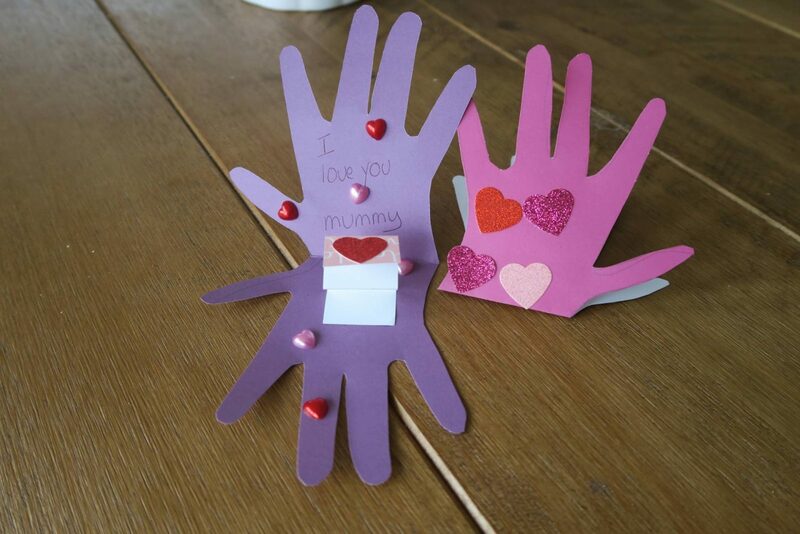 Love these cards Laura, we need to do a valentines craft tomorrow and cards are probably all my un craft like brain can stretch to! 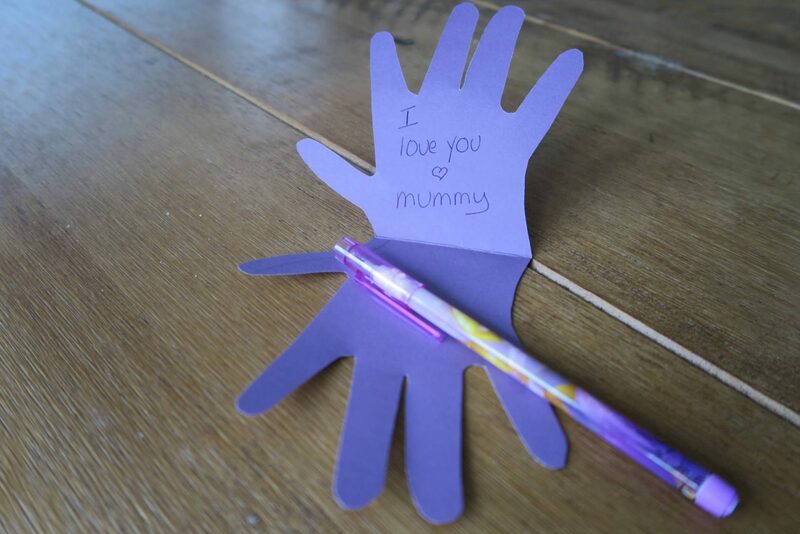 This is such a sweet idea, Amelia is obsessed with drawing round her hands so this would be right up her street! 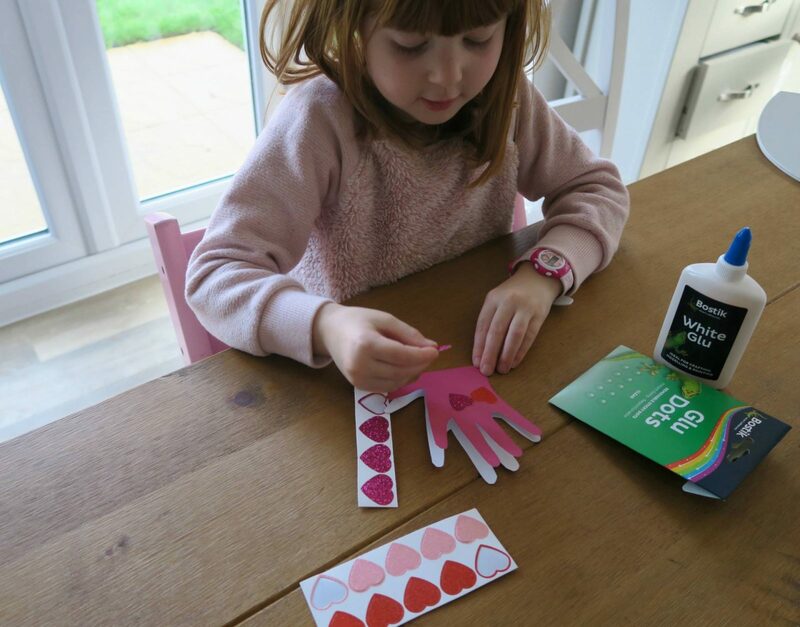 Aww these are fab Laura, so sweet and something the children can really get involved in, they love stickers don’t they?